Interim CBI chief M Nageswara Rao alleged the city police took charge of all evidence pertaining to the Saradha chit fund scam, some of which might have been destroyed or caused to disappear. A CBI team in Kolkata to question the city police chief was detained on Sunday evening and West Bengal CM Mamata Banerjee launched a sit-in demonstration, as an unprecedented conflict broke out between the state government and the Centre. Interim CBI chief M Nageswara Rao alleged the city police took charge of all evidence pertaining to the Saradha chit fund scam, some of which might have been destroyed or caused to disappear. But the state government received support from several opposition parties that said the Centre’s action would jeopardise the country’s federal structure. “The Supreme Court asked us to unearth the larger conspiracy, including the involvement of influential (individuals). We will bring it to the notice of the Supreme Court,” CBI joint director Pankaj Srivastava told a local TV channel. Nageswara Rao told news agencies that CRPF personnel were deployed to protect CBI and other central government offices in Kolkata. 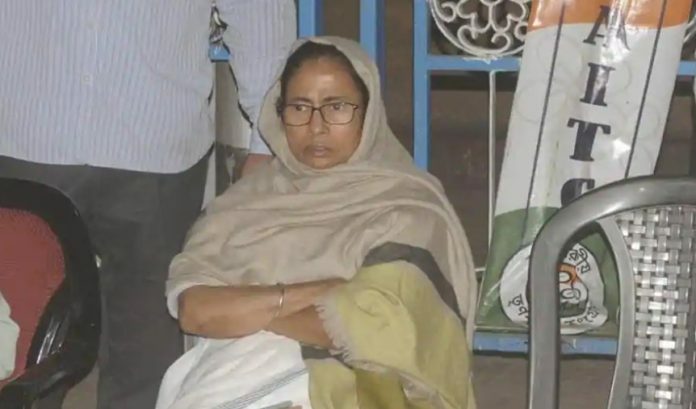 At the time of going to press, Banerjee was on her indefinite sit-in demonstration at Esplanade in the heart of Kolkata over the central probe agency’s attempt to question city police chief Rajeev Kumar over the alleged scam that has already landed some of her party leaders in jail. The CBI has been probing the matter since 2014 on instructions from the Supreme Court. In November last year, West Bengal withdrew its general consent granted to the central investigating agency to conduct raids and probe cases in the state. The CBI team led by deputy superintendent of police Tathagata Bardhan was barred by police personnel led by DCP (south division) Meeraj Khalid from entering Kumar’s residence and taken to the Shakespeare Sarani police station. The CBI officials were later released. Banerjee rushed to the city police chief’s residence and accused the Centre of trying to destroy the country’s federal structure. “Modi and Amit Shah have launched unprecedented atrocities on Bengal. They are trying to engineer a coup in Bengal because I organised the United India rally against them,” she said before heading to Esplanade, where she sat on a chair placed along a road until a dais was raised. Sitting there, she received phone calls from Congress president Rahul Gandhi, NCP supremo Sharad Pawar and SP chief Akhilesh Yadav. Banerjee also received support from other opposition leaders, including Omar Abdullah of the National Conference, Arvind Kejriwal of the AAP, MK Stalin of the DMK, Lalu Prasad of the RJD and Chandrababu Naidu of the TDP. “I spoke with Mamata Di tonight and told her we stand shoulder to shoulder with her. The happenings in Bengal are a part of the unrelenting attack on India’s institutions by Mr Modi & the BJP. The entire opposition will stand together & defeat these fascist forces,” Gandhi tweeted. Previous articleAll eyes on 1st RBI policy review under Shaktikanta Das; will there be a rate cut?